Movie names that have become part of everyday speech? 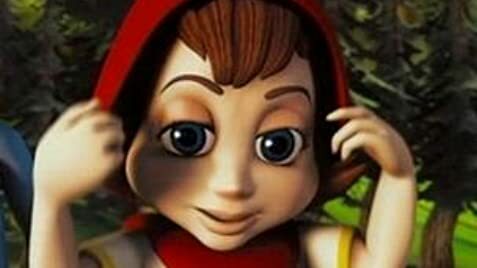 Nicky Flippers: [narrating] Red Riding Hood, you probably know the story. Nicky Flippers: But there's more to every tale than meets the eye. It's just like they always say, you can't judge a book by its cover. If you want to know the truth, you've gotta flip through the pages. 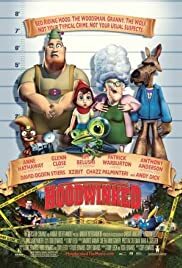 Hoodwinked is an ultra low budget affair compared to the average 3D CGI-animated film (it was shot for a reported 15 million vs 70 to 90 million for films like Finding Nemo or Shrek 2). If you want a fairer comparison in terms of animation quality, you'd have to look at something like Jimmy Neutron (30 million budget). What really made the animation work in terms of style is...the style. Hoodwinked almost looks like a revved up Rankin-Bass stop motion animated film in the vein of Rudolph the Red-Nosed Reindeer. Once you get absorbed in the world of Hoodwinked, you stop comparing it to Pixar and simply enjoy the magic little world the creators obviously put so much care into creating. And the film is indeed absorbing! It starts a little slow, but once the story picks up steam, it is non-stop fun. It's clear that the writers weren't going to let a lower budget stop them from writing a clever and often laugh-out-loud funny script. My kids, aged 12, 8, and 3, giggled throughout the film. Your kids will LOVE the squirrel, the granny, and the singing goat, and adults will pick up more culture references in terms of homage scenes (not in adult content) to pictures like Fletch, Kill Bill, and the Matrix. One thing comes across very clearly in Hoodwinked--love of the craft. So many seemingly throw away gags end up being very important to the story later on. Enjoy this little gem of an "indie" animated film, and imagine what these young guys could do with a bigger budget next time around! 196 of 242 people found this review helpful. Was this review helpful to you?